We’re starting off the new year by welcoming Provo’s new mayor, Michelle Kaufusi. 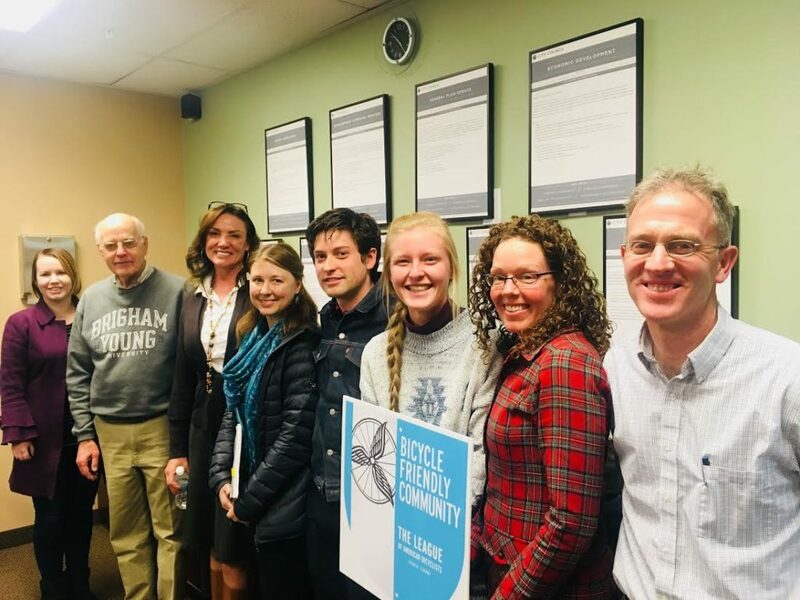 Last month (despite being extraordinarily busy after taking office early) Mayor Kaufusi took the time to sit down with representatives of the Provo Bicycle Committee. We’re delighted to report that she invited us to continue our role as the mayor’s official committee. Mayor Kaufusi was particularly interested in listening to our stories and finding ways that she could best help Provo become a safer, more welcoming place to ride a bicycle or walk. When Mayor Curtis first took office eight years ago, bicycling was almost never mentioned. Now, it’s taken seriously in Provo and throughout the state as a way to encourage quality of life, improve our air, and create great neighborhoods for our families. Mayor Curtis took bicycling into the Provo mainstream, and we have high hopes that Mayor Kaufusi will be able to make Provo one of the best cities for cycling in the West! This entry was posted in Bike Advocacy, Bike Media by Jamie. Bookmark the permalink.